← Bandit explains Valentine’s Day – and it’s scary! Bailey, the day I brought her home from the shelter, January 22, 2011. She was six weeks old. 13WHAM News did a story tonight on what they called “Disposable Dogs,” puppies and dogs that irresponsible backyard breeders keep producing and then bringing to the shelter. Sometimes it’s day old puppies; sometimes it’s the mother dogs who have been bred till they’re no longer useful and then dumped; sometimes it’s adult dogs people bring home and then turn over when they’re bored with them. The report included not just interviews with people like Jenn Fedele, founder of Pitty Love Rescue – the story incorrectly identified Jenn as a breeder; she is most definitely not a breeder – but also photos taken in the tech rooms at RAS of dogs being euthanized. Seriously, having just had to put my darling Scout to sleep after a battle with cancer, I did not need to see that. But maybe you did, so that you could understand how serious the problem is. As I watched the story, one thing stood out: had Bailey not come home with me on January 22, 2011, she would have been one of those statistics. Bailey in December 2011. She clearly has some problems due to bad breeding, but Bailey still turned out to be a super smart and affectionate dog. 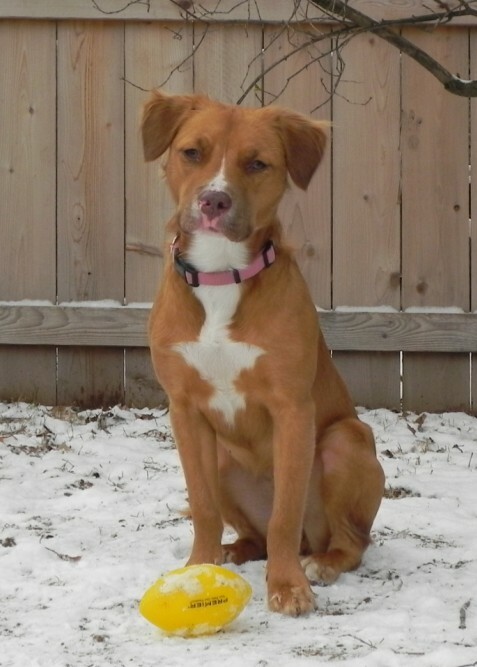 She came to me at six-weeks-old, when a woman came into the shelter with two little pups in a plastic bin and asked, “What do you do when you have too many dogs?” On that day, the shelter was full, and because the pups were supposedly part pit bull, city policy meant they would have been euthanized right away. While we tried to convince the woman to take the two little pups to Lollypop or to call a rescue, she hemmed and hawed and whined about not having time and needing to just get rid of them. So rather than officialy take them into the shelter, I took one home, and another volunteer took the other puppy. I figured I’d foster the puppy for a week or two and then the rescue group would take her. Clearly, I didn’t understand what it meant to foster a dog. But the long and short of it is that we decided to keep Bailey – or more like she decided to stay. She became part of our family. When we found out Bailey had hip dysplasia, when she had a chronic UTI, when she and Bandit started fighting and needed to be separated 24/7 – we figured out a way to manage the situation. Yes, we’re looking for a new home for her, where she can be the only dog and queen of the house. 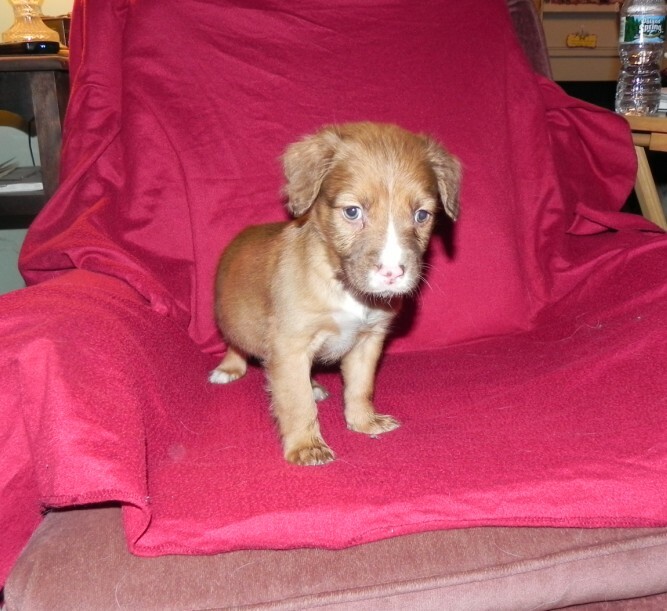 But until that happens – if it ever happens – she’s our little stinker puppy. It’s been a challenge, but I can’t imagine the last year without her. And I certainly don’t want to imagine her like the puppies shown in tonight’s newscast, dead and in a plastic garbage bag waiting for a trip to the landfill. She’s didn’t end up as a disposable puppy, thank God. If you’d like to learn more about Pitty Love Rescue, visit their website. If you’d like to learn more about Bailey – are you looking for a super smart, super loving dog who needs to be the only dog in your family? – you can read more here. If you’re looking to add a new furry cat or dog to your family, check out Rochester Animal Services, the city’s municipal animal shelter. This entry was posted in Bailey, dogs, volunteering and tagged 13WHAM, animal adoption, animal rescue, dogs, NY, Pit bulls, Pitty Love Rescue, puppies, Rochester, Rochester Animal Services. Bookmark the permalink. What a lovely article Joanne. Bailey was blessed to live with you. He is a heart dog. I just love him.